Definition at line 2799 of file app-layer-detect-proto.c. Definition at line 2801 of file app-layer-detect-proto.c. Definition at line 2802 of file app-layer-detect-proto.c. Definition at line 2800 of file app-layer-detect-proto.c. Definition at line 2803 of file app-layer-detect-proto.c. 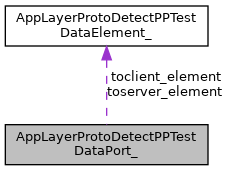 Definition at line 2808 of file app-layer-detect-proto.c. Definition at line 2806 of file app-layer-detect-proto.c. Definition at line 2805 of file app-layer-detect-proto.c. Definition at line 2807 of file app-layer-detect-proto.c.